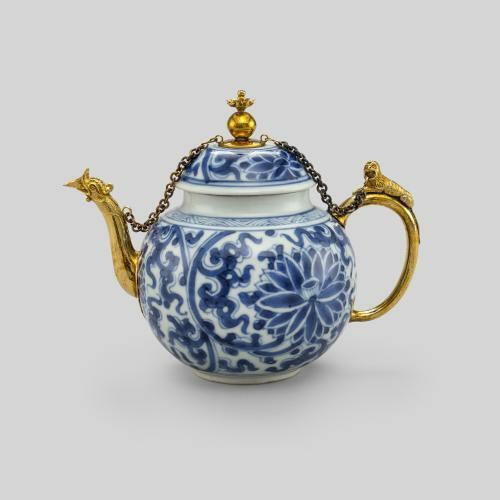 Porcelain decorated in underglaze blue pigment dominated the Chinese export trade until the end of the 17th century. 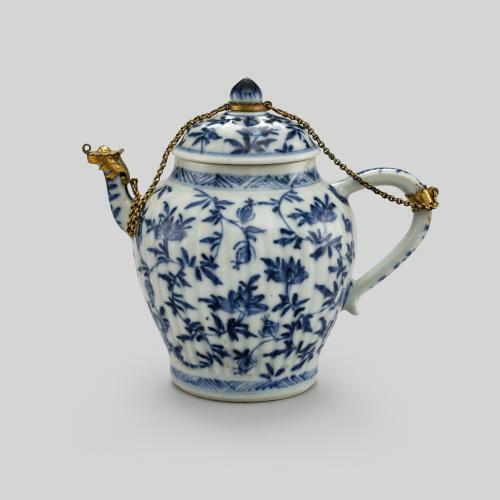 Blue and white wares, such as this teapot, were often adapted when they reached Europe with the addition of gilt mounts. 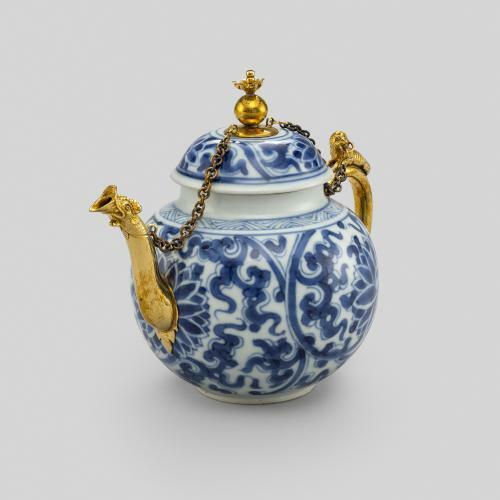 The ornate gilt-copper spout on this teapot takes the form of a peacock, while the handle is topped by a monkey. They were both added in Germany in around 1680. Such mounts offered some protection to the delicate porcelain, while also masking any damage that had already occurred. 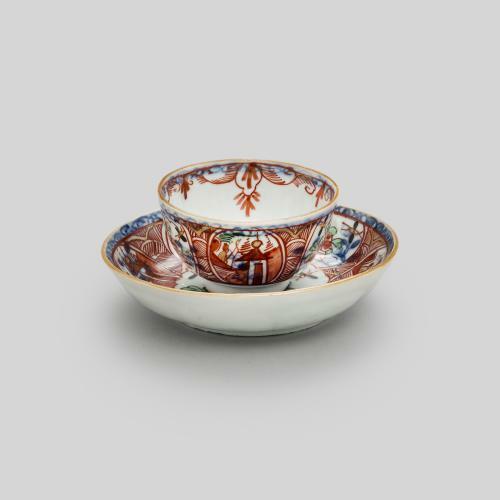 They also transformed high quality porcelain pieces into luxurious and decorative objects that appealed to Western taste.